"How will we support ourselves in Ecuador?" Although life is much cheaper in Ecuador than in the US, the jobs available in Ecuador also pay much less. We knew that, if we were going to be able to reach our goals, we would need a way to support our life in Ecuador that didn't mean working full-time in Ecuador. At the time, my dad had started a website with SBI (a.k.a. "Site Sell" and more recently "Solo Build It!"). He had done LOTS of reading and research before starting his site and encouraged me to look into it as well. His site was doing great after only a few years. It was his second website. The first he tried to do on his own, with limited results. This second attempt was much more successful, mostly due to the SBI resources and step-by-step instructions given throughout the entire process. Now 20 years later, my dad has a business that is thriving online and on the ground. 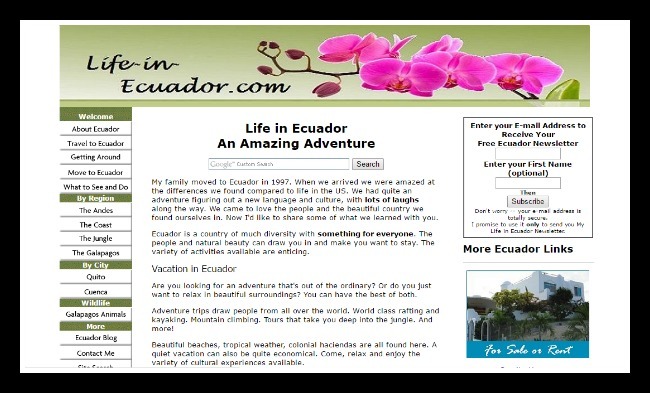 He actually talks about moving to Ecuador and living off the income from his website...and he could do it! Of course my situation was a bit different. I was young. I didn't have an established business. And although the website was going to be part of my life, I didn't want it to be my #1 focus. I had lots of doubts. Would I run out of things to write about? Would people like the site? "If you don't make the $299 it costs to subscribe within the first year, I'll pay for it." So I had nothing to lose. I started this website in 2010. It started tiny and a bit rough, but with the help of the all the tools available through Solo Build It! the site just keeps getting better. What I don't have to worry about is all the technical stuff. Coding, submitting pages to search engines, search engine algorithms, etc. Plus with the Solo Build It! site templates I have a modern, responsive site that is easy to navigate. The friendly forums have also been an amazing resource. 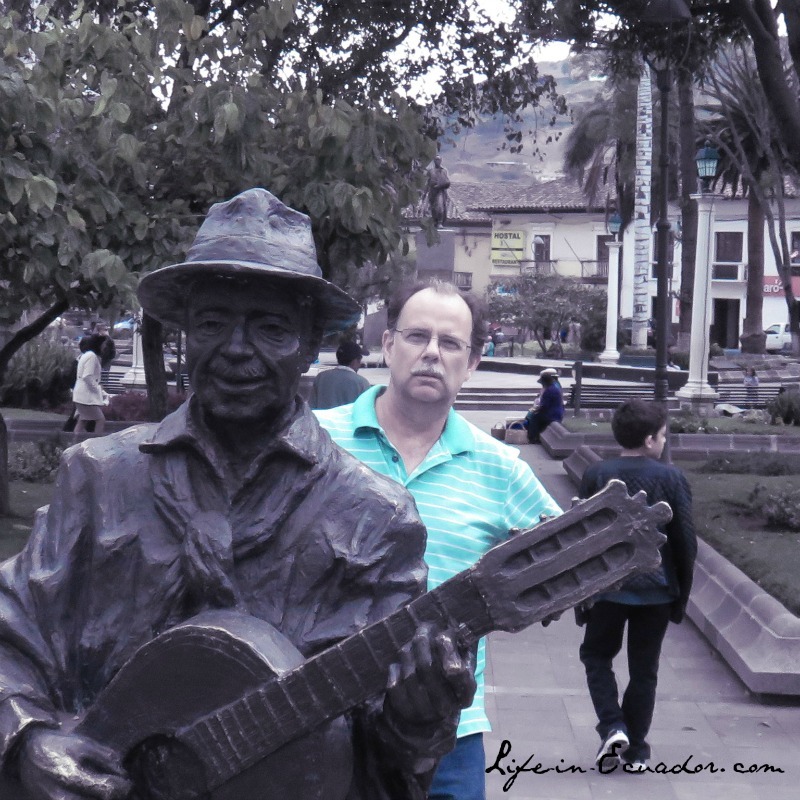 The traffic on Life-in-Ecuador.com has far surpassed my wildest dreams. Almost 1,000 different people visit daily and that number continues to grow. Every year with the income I make I've been able to (1) pay for the website subscription, (2) buy homeschooling materials for my son - a very important goal for me - and (3) have a bit left over to do things I might not be able to otherwise. We still do some work in Ecuador (or during trips to the States), but the added income from the website has saved us too many times to count! It's definitely been worth all the effort. Would I recommend Solo Build It? Absolutely! It's the best way to build an online business. Even if you are only thinking to blog....your blog could turn in to much more that you ever imagined. I've actually built websites for friends of mine with other web building sites. Their websites are pretty and informative, but they aren't successful like Solo Build It sites. Without the built in tools that come with Site Sell it is so much harder to set yourself up for success (even for me....Solo Build It makes it so simple that when I need to do things on my own it takes so much more effort!). Sadly, there have been a spew of fake (paid) reviews online bashing Solo Build It and promoting an inferior product. These reviews don't have any data to support their claims. When comparing these two products look for proof of success. My story (and my dad's story) is real! I actually make money. I actually have traffic (0% of which is paid traffic). But don't just take my word for it. Check out this video with other Solo Build It success stories. Then click over to Solo Built It for all the details. P.S. If you already have a WordPress site...there's an app for that! 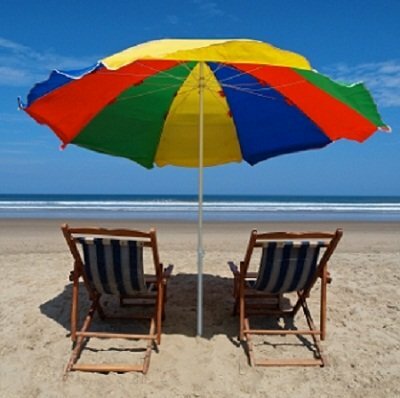 I am an Affiliate of Solo Build It and receive a small commission if after looking at the above links you choose to subscribe. This commission does not affect the cost.